Coinciding with his exhibition Passage/s at Victoria Miro, Do Ho Suh talks about new and recent works. 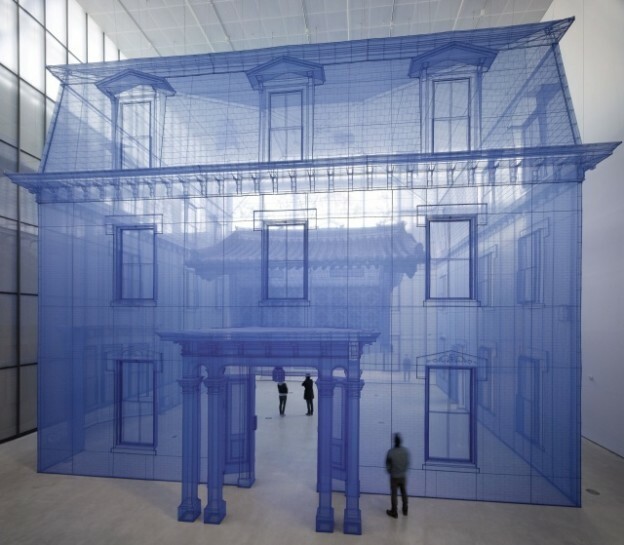 Do Ho Suh received a BFA in painting from the Rhode Island School of Design and a MFA in sculpture from Yale University. Interested in the malleability of space in both its physical and metaphorical manifestations, Do Ho Suh constructs site-specific installations that question the boundaries of identity. His work explores the relation between individuality, collectivity, and anonymity. Do Ho Suh’s recent solo exhibitions and projects include Home within Home within Home within Home within Home, National Museum of Modern and Contemporary Art, Seoul, Korea (2013); Do Ho Suh: Perfect Home, 21st Century Museum of Contemporary Art, Kanazawa, Japan (2012-2013) and In Between, Hiroshima City Museum of Contemporary Art, Hiroshima, Japan (2012). In 2001, Suh represented Korea at the Venice Biennale and subsequently participated in the 2010 Venice Architecture Biennale, the 2010 Liverpool Biennial, and the 2012 Gwangju Biennial. Image:© Do Ho Suh, Courtesy of the Artist. Photograph by Taegsu Jeon.